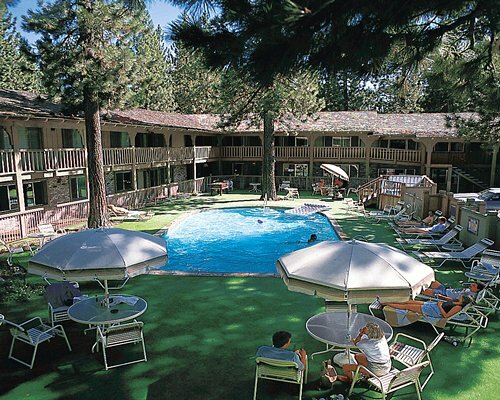 The Lodge at Lake Tahoe is a small family-oriented resort a mile from the lake and at an altitude of 6,200 feet, which may aggravate some health conditions. 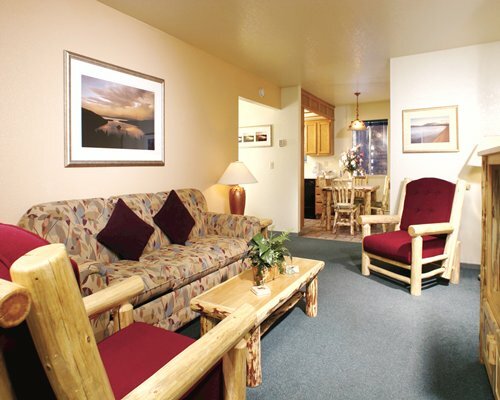 In winter, Tahoe is a mecca for skiers, boasting more than 16 ski areas. Summer activities include boating, fishing, golf, and tennis. For year-round enjoyment, in-room bathrobes ensure comfort to and from the heated pool and spa. Along with family attractions and fine local dining, there is the sophisticated fun of casino action in Stateline, Nevada, only six blocks away.